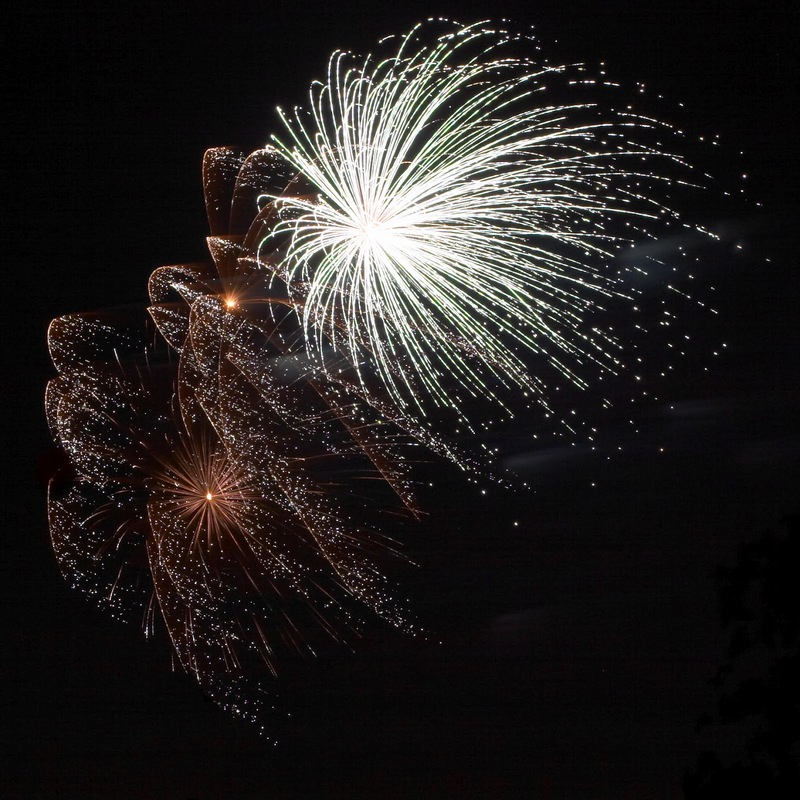 Los Angeles is home to at least a dozen big fireworks shows come the Fourth of July. But in The Wilfair Hotel's city neighborhood? No fireworks. Meaning that Fair and Sutton would need to go to the roof of the hotel to watch pyrotechnics (they could probably see the Hollywood Bowl's show and Exposition Park at USC). Of course, The Wilfair has that slight tilt, so the ladies would have to sit with their chairs against the stairwell door, in order not to slowly slide. The Motel Fairwil has a pool and all of that lovely outdoor space, so I imagine the Overbove cousins would roll out the barbecue for the guests. Would they hand out sparklers? You bet. Monty seems like a guy who might always have a batch of sparklers on hand. Now I want Monty and Gomery to go up on The Wilfair's roof, too, for fireworks. Note to self. Maybe Fair and Sutton could go over to the motel for swimming and barbecue and they could all head up to The Wilfair's roof for fireworks. I bet Fair has adorable vintage-style bathing suits. Carly, Bess and I just had a discussion about Fair's swimsuit on another post! You are a mind reader. Yes, the ladies should join the motel barbecue. I agree. What's the Fourth haps out your way today? I owe you another email! You write great notes. Watch your box in the next few. Monty would probably plan an elaborate illegal fireworks display for the roof. Are personal fireworks illegal in California? I'm pretty sure they are illegal - such a shame. Although, we have so many fires as it is in the summer, it's probably for the best. Alysia - the neighborhood park usually puts on a display. Or the high school. I can see the high school ones easily from my house. While Monty might be tempted to set off a small sparkly twirler or two, he knows that The Wilfair's guard will walk over and put a stop to his fireworks show. The Wilfair, of course, has always been a bit of "The Man" in Monty's mind. I can see Montgomery Y. Overbove doing some sort of film projection show on the pool's surface. He'd probably get up on the motel's roof and turn his projector toward the pool. Fair and Sutton would probably peek over the edge of the hotel's roof to watch. And Carly, that's nice you can see fireworks from your place! Hope you had a restful holiday. Aha, yes, I suppose The Wilfair's guests might complain about fireworks noise. 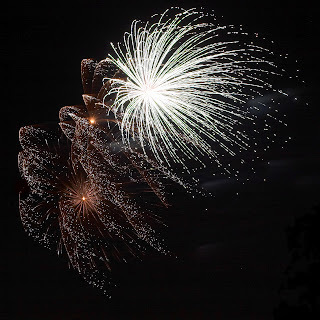 A lights display or show of images of fireworks in the pool would be very postmodern.